Not in NC? Book a Party! We're a Family, not a Franchise. Want to pay a fair price? Do you want the best custom Mobile Game Theater available? Would you like to take an active role in your MGT's unique look? Would you like assistance with your online listings? Quality of design, quality of build, quality of service.... Quality is at the core of our success...and ultimately of your sucess. We got into this business in 2010. 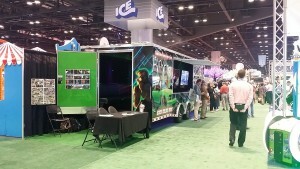 We’ve been building Mobile Game Theaters since 2011. We’ve learned a few things along the way and we adjust our product and our training accordingly.